Biometric authentication has taken on new forms in modern smartphones thanks to advancements in imaging and display technology. We now have smartphones capable of precise facial recognition like the Xiaomi Mi 8 and Apple iPhone X. We are also getting smartphones with in-display fingerprint sensors like the Vivo NEX and Porsche Design Huawei Mate RS. Meanwhile, Samsung is reportedly dropping their iris recognition technology in favor of a 3D facial recognition sensor and an in-display fingerprint scanner on the Galaxy S10. But even if the Samsung Galaxy S10 marks the company’s departure from iris scanners on their flagship phones, it’s possible that they may include the feature on one or more of their budget Galaxy offerings this year—possibly a 2018 refresh of the Samsung Galaxy Grand Prime Plus. Earlier this year, we uncovered a list of unannounced 2018 Samsung Galaxy smartphones based on a list of code-names within the Samsung Galaxy Note 8‘s Android 8.0 Oreo framework. Most of the devices in that list have been announced already, though some such as code-names “lugelte” and “gta2xl” have only recently re-emerged. (These devices are likely the Samsung Galaxy X, Samsung’s first foldable smartphone, and the Samsung Galaxy Tab A2 XL respectively.) Another device we discovered, code-named “j6plte,” is likely the Samsung Galaxy J6+/Samsung Galaxy On6+, though it interestingly did not appear on our earlier list. One unannounced device on that list that has since eluded us was the device code-named “grandppirislte.” Given that the 2016 Samsung Galaxy Grand Prime Plus is code-named “grandpplte” (which you can verify for yourself on Google’s list of Play Certified devices), we speculated that “grandppirislte” would be a 2018 refresh of the Samsung Galaxy Grand Prime Plus with an iris scanner. Now, thanks to firmware files first discovered by XDA Recognized Contributor deadman96385, we can corroborate the existence of this device and the fact that it has an iris recognition sensor. 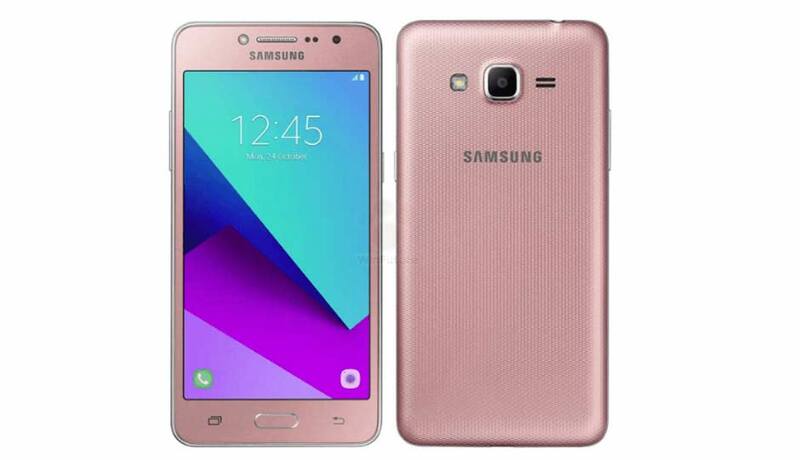 2016 Samsung Galaxy Grand Prime Plus. Source: Samsung. Samsung’s flirtation with iris recognition on their Android smartphones started with the ill-fated Samsung Galaxy Note 7. (Interestingly, the company had previously launched the Samsung Galaxy Tab Iris in India a month before, but it was for government and enterprise users.) 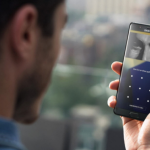 Since then, only the company’s flagship smartphones, including the Samsung Galaxy S8/S8+, Samsung Galaxy Note 8, and Samsung Galaxy S9/S9+ have offered iris scanners. A report late last year from The Korea Herald stated that Samsung was “on target to expand the iris scanner into budget models possibly late next year or early 2019 with the ultimate aim of replacing physical banks with mobile banking.” While we can’t confirm an exact launch date of their budget models with iris recognition technology, we now have evidence for at least one of these budget models existing. According to the firmware files we obtained, the 2018 Samsung Galaxy Grand Prime Plus has an iris scanner driver called the ktd2692_iris. A quick search online doesn’t show the existence of this particular infrared LED driver, though the standard ktd2692 flash LED driver does exist. It’s possible that Samsung will use this flash LED driver for IR to cut down on costs. I can’t speak for whether this will make facial recognition possible, but this paper suggests that using the flash LED for IR is possible.